Artworks by Franco Costalonga. Online sales. 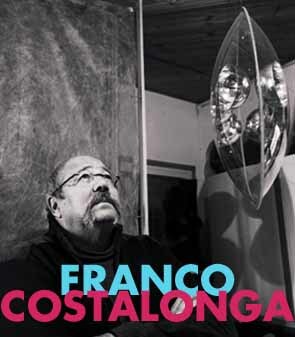 Franco Costalonga was born in Venezia on 1933. He is one of the most important member of the Kinetic Art, also active now. During his first formation like painter into the Art School of Venice, he is influenced by the direction of Remigio Butera. 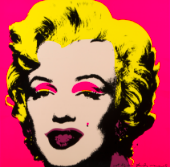 So his paintings have a great research about color theory. In the second half of 60° years, the artist develops his research on the light and the study of border between art and science, about the incidence of the light on the material. In this period he approaches to the group “Sette-Veneto”, driven by Bruno Munari, connected with the "Sincron Operative Center" in Brescia. The critics determined Costalonga the researcher of visual perception phenomenas. The artist studies the light degrees on the chrome kinetic subjects, starting from a modular basic element and then structured. The study of Costalonga is based on the light presences and absences, and wants to capture the shadows and the light on the color across the variations of directing and modular support. 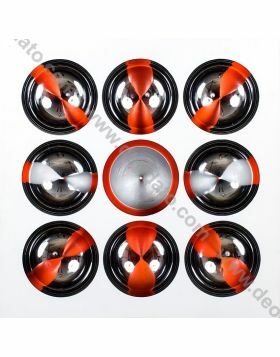 This is one of the Kinetic Art target, the first Movement that delt with the problem to compare Art, Science and Technique. Usually the Kinetic Art's artworks represents a two-dimensional and three-dimensional character, that is a real virtual movement. In these artwork the optical phenomenas by the viewer are very important, because sometimes the viewer is involved into the artworks. The Costalonga's artworks are appreciated by designers and decorators, because menage to pass the border between sculpture and architecture. He participated to many exhibitions, in particular the four editions of the Biennial-Art in Venezia, the XXXV, XLII, XLV, XLVI; The Internationale Kunstmesse Art 5 in Basilea on 1974, and in 2012 at GAM in Roma, for the exhibition of “Programmed and Kinetic Art”.